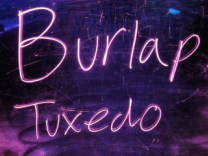 Burlap Tuxedo - Red Dirt Bluegrass Country Hillbilly music from Tuttle, OK! Red Dirt Bluegrass Hillbilly Music! Tracy Ross-Guitar/Vocals, Sam Hochenauer-Banjo, Casey Friedman-Bass, Minna Biggs-Fiddle, and anyone ready to suit up with the most fun band in town!